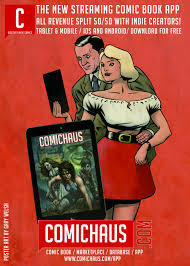 Coming soon to ComicsFlix we have a new feature were top editors, creators and comic fans give us ‘My Perfect Comic’. Fancy a go? You are the editor with the use of any comic character. You have 48 pages to fill with your favourite strips, characters you’ve created or stories that you would like to have appeared but never did. You can also give us the title of your favourite comic too! E mail comicsflix@gmail.com if you’d like to participate.